You must admit, nobody has as many uplifting titles for their blog posts as I do. I have previously had such cheery titles as “Stress Testing Your Death” and “Is it Morbid to Plan for an Inheritance”. So today, in keeping with my "Morbid Mark" theme, I will discuss the tax implications that can occur when one spouse passes away, and does not will all of their assets to their surviving spouse. Upon death, you are deemed to have disposed of your capital and non-depreciable property (typically your principal residence is tax-free) for proceeds equal to the fair market value (“FMV”) of the assets immediately before death. If the FMV of any property is greater than the original cost of that property, your executor must report a capital gain on your income tax return for the year of death (known as a terminal return). For example, if John passed away on September 1, 2013 and he owned shares of Bell Canada worth $40 on September 1st, that he had purchased for $28 several years ago, his estate must report a deemed capital gain of $12 per share on his terminal return. The same would hold true for a rental property, which may also have additional potential issues, such as the recapture of capital cost allowance (depreciation). There is an exception to the deemed disposition rule, where the property passes to the deceased spouse, common-law partner or a "qualifying spousal trust". In this situation, the transfer takes place at the adjusted cost base (ACB) of the property, not the FMV of the property and the deemed capital gain is deferred until the spouse or common-law partner dies; or the property is disposed of by the spouse or common-law partner. So if John was married to Mary and left everything to her in his will, the Bell Canada shares would transfer to Mary tax-free at a cost base of $28. In the good old days of Ozzie and Harriet, the automatic provision was fairly standard. People stayed married and both spouses would usually have mirror wills, leaving all or most of their property to each other. Today, with the high rate of divorce, second families and spouses who have independent thoughts, it is not that unusual for spouses to have different wills or wills in which they only leave some assets to their current spouse. 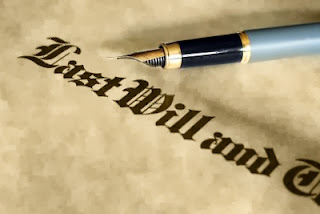 Where spouses have different wishes in their wills and don’t leave all their property to their surviving spouse, the deemed disposition rules noted above come into effect. The resultant income tax liability can in some cases be large and where assets are not liquid, the payment of those taxes can sometimes be problematic. 1. Second families- A testator may structure their will to only leave a certain amount to the surviving spouse, or to a spousal trust for their surviving spouse so they can leave other property and monies directly to their children from the first marriage; this triggers the deemed disposition rules on the property left to their children. 2. 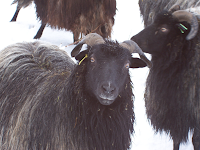 Black Sheep Children -One spouse may have an issue with one of their children and be concerned their surviving spouse will turn around and leave money to the black sheep child when they pass away. 4. Charitable Wishes – Spouses often have different charitable views. One spouse may want to leave a significant portion of their wealth to charity while the other does not. In this case, the concern is not an income tax issue, as the donation(s) eliminate most of the tax liability, but the issue becomes a question of whether assets must be liquidated to enable the executor to make the donations in the will. As I have been told my blog posts are too long, I will stop here today. On Wednesday, I will discuss the income tax implications, liquidity concerns and planning issues when spouses don't leave all their assets to each other. I think your blogs are just right, not too long at all. Thanks for the time and thought you put into each topic. You may not get a lot of comments because, hey, what can we readers add when you do such a thorough job? But we all appreciate and love seeing new posts from you. Thx for your kind comments; many people say they are too long, so I will now occasionally split into two parts. For what it's worth I want to add my vote to Pursuit's: Your posts are not too long, and there are few comments because often there's nothing much to add. thx Anon, in the future when I write new posts I am going to try and make them a little less wordy, without taking away the detail I want. I don't know who would say your posts are too long! 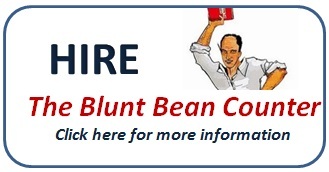 They are the length they need to be to give the information in a friendly, useful and often humorous way. In other words, the perfect length! Even with a happy marriage and one set of kids, you could still have different wishes than your hubby. You may wish to give to charity or to a sibling etc. Another great post Mark. Yes, morbid Mark, but important stuff. My wife and I fit into category # 3. Our will isn't too complicated yet but is due up for renewal in another 3-5 years. As life changes, so should the will. 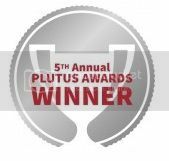 Also, congrats on the Plutus nod. Extremely well deserved my friend. All of your posts on this subject are invaluable. My parents (married 50 years) have 7 figures invested in dividend stocks for at least 25 years but had no plans on the death of the last surviving parent on how the portfolio was to be dealt with other than to leave it in equal parts to their children. As on of the daughters, this always made me uncomfortable. I've been passing on your posts to them and glad to say, the are having an effect. Thx, I dont just write these blogs for the sake of writing. I hope some of the topics cause people to think and act and I appreciate you telling me your parents have paid attention. I don't see anything wrong with the Will of the parents of Anon. The surviving spouse inherits the departed spouse's assets, which in turn is left in equal portions to the children upon the death of the the surviving spouse. Would you explain? I am not a lawyer, so these are my non legal concerns. The surviving spouse can decide to change their will and leave everything to charity or the cat and the kids get nothing against the deceased parents wish. Thus, a spousal trust should be considered,. As noted by Katy Basi in a follow up blog, in some provinces a will becomes invalid upon remarriage. Can a second spouse benefit from this Spousal Rollover? eg: Husband-1 dies, and assets are rolled over tax free to Wife-1. Wife-1 dies, gives assets to Husband-2. Would Husband-2 get the assets tax free? Yes, there is no limitation on the number or spouses, as long as the assets are properly left to the surviving spouse in the will.